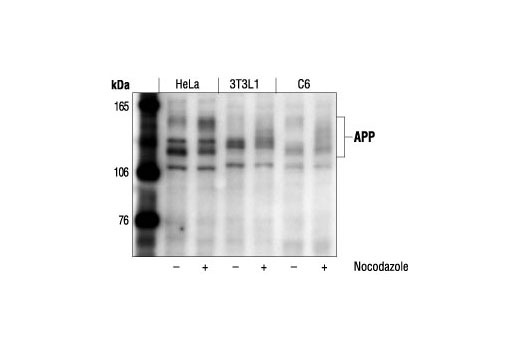 APP Antibody detects endogenous levels of several isoforms of both mature and immature amyloid beta (A4) precursor protein, including APP695, APP770 and APP751. Polyclonal antibodies are produced by immunizing animals with a synthetic peptide corresponding to residues surrounding Thr668 of human APP695. Antibodies are purified by protein A and peptide affinity chromatography.